What is it we want out of an exploration and excavation of the past? Is it continuing investigations by the type of units recently suggested by former police ombudsman Nuala O’Loan and detailed a few years back in the Eames/Bradley report? Or is it something else? Then there is another question: what will investigations achieve – probes into the killings of the 1960s, 1970s, 1980s and 1990s? Yes, in a small number of cases, the end result might be jail for those who placed bombs, or pulled triggers. But in most cases that won’t happen. And what are we saying to the thousands who were injured, if the investigative line is drawn at killings? Are we creating another hierarchy, or league table, of victims? It takes us back to the opening thought. What do we want out of any examination of the past? Investigations could produce a result for some, but not for the many touched by a decades-long conflict. And so that demands we think outside the box – and think differently. That is if we really want the answers, the information and some better understanding of what the many ‘wars’ were all about. Investigations stand in the way of that type of explanation. And the dirty word ‘amnesty’ is what will open the door. Many baulk at the very suggestion, as if it is something new. Yet, in one form or another, it is what delivered decommissioning, or putting arms beyond use, opened the door to information on the hidden bodies of the Disappeared and there are those who point to the early prisoner-releases as another form of amnesty. If you want republicans and loyalists to step forward, then some new thinking is required. Investigations push them further away from the type of process in which information could be delivered. And we need to understand that the past is not just about individuals, but is also about corporate/collective decisions and orders – republican, loyalist, security forces, intelligence services and political/government. So if we want to know, not just what happened, but why it happened, then we need the keys that will open those doors. Investigations mean more locks are applied. Information will continue to be hidden away and the vast majority of people looking for answers won’t get them. We can understand the argument for investigations; understand people who see justice in terms of court and jail for those who pulled triggers and placed bombs. But how realistic is that now? The Historical Enquiries Team (HET) is going to continue its work – probably until the end of 2013. And there is a view that there will be no serious thinking given to a truth, or information-recovery, process until after then. Investigations will only scratch the surface of what happened. The past is not just about who pulled a trigger, or who placed a bomb. It is about the orders and the thinking behind those actions. Again, not just what happened, but why? It is not about goodies and baddies; not just about republicans and loyalists, but about those in politics, security and intelligence who dabbled in the dark arts of war. It is about achieving the best information and explanation behind what happened and about trying to ensure it doesn’t happen again. And you don’t achieve that by investigation and throwing a few people in jail. We also need to think about what happens when the work of the HET is complete. Many of the unanswered questions of the past decades will still be sitting there waiting for a response; for the information and explanation that could make a difference. So, this needs a bright idea, some big thinking, something new. It needs a process that can answer many questions and not just a few. And out there, in our world of politics, there are those who don’t even want to think about that. Why? Because of the ugly truths that could emerge. A federal appeals court swiftly issued an order yesterday preventing US officials from turning over recorded interviews of a former member of the Provisional Irish Republican Army to the United Kingdom, until further hearings can be held to determine whether doing so would pose a danger to the interviewers. The ruling yesterday by the Court of Appeals for the First Circuit effectively stays parts of a decision by US District Court Judge William G. Young that ordered Boston College to turn the materials over to the federal government, which had subpoenaed the documents on behalf of British authorities investigating crimes during the sectarian fight for control of Northern Ireland. US officials received the information yesterday, meeting Young’s deadline, according to court records, but the appeals court decision temporarily prevents them from handing the documents over to British authorities. In a one-paragraph decision yesterday, the appeals court said that the limited stay was issued “in order to preserve the status quo and allow this court sufficient time to assess the issues.’’ The court asked that government officials file a response to the stay by Jan. 9. Government officials would not comment on the order. The appellate decision was in response to a last-minute plea by two people who had worked on a project involving the former IRA members, Anthony McIntyre and Ed Moloney. They had argued that turning over the information to British officials would not only endanger the safety of McIntyre, who lives in Ireland and did research for the project, but also cause further turmoil in Northern Ireland by opening politically sensitive wounds. “It is my firm opinion that any material produced pursuant to the . . . subpoenas will open up a hornets’ nest which, if kicked, will let loose a horde of vicious insects to do irreparable harm to the peace process in Northern Ireland,’’ Moloney, a journalist and former editor of newspapers in Dublin, said in an affidavit filed with the courts. James J. Cotter, a lawyer for both men, said yesterday that he was pleased with the decision. At issue are materials collected for the Belfast Project, a BC oral history project about the Troubles, a tumultuous period in the latter half of the 20th century during which more than 3,000 people were killed in the struggle for control of Northern Ireland. The British government had requested transcripts and recordings of interviews for the project through a treaty with the United States that requires both countries to furnish materials that would aid in criminal inquiries. Government officials have said in court filings that the materials they are seeking are relevant to an investigation into the death of Jean McConville, a Belfast mother of 10 who disappeared in 1972 and whose body was recovered in 2003. The IRA has admitted to killing her because she was falsely suspected of being an informer. Among the materials authorities are interested in are transcripts of the interview with former IRA member Dolours Price, who had acknowledged being involved in crimes committed during the Troubles. Price and another former IRA member, Brendan Hughes, have said that the abduction, execution, and burial of McConville was ordered by Gerry Adams, the leader of Sinn Fein, which had served as the political arm of the IRA. Boston College was opposed to the release of the materials because the project was for academic purposes and interview subjects were promised that their identities and the materials would remain confidential until the person had died. Moloney and McIntyre had sought to intervene in the federal subpoena sent to Boston College, but Young rejected that request, saying that BC was already arguing on their behalf. On Thursday, Cotter filed a new complaint separate from the Boston College case opposing release of the information. A hearing for a preliminary injunction is slated for Jan. 6. He sought the appeals court stay based on the continuing arguments. Jack Dunn, a spokesman for Boston College, said yesterday that Young’s order to release the information referred only to the materials related to Price. He said BC chose not to appeal the order because “we felt we did not have a legal leg to stand on,’’ but that the university will continue to oppose release of other materials and interview transcripts. He said that the appeals court ruling was based on the separate legal case brought by Moloney and McIntyre and that he could not speak for their case. Moloney said in an interview yesterday that he moved forward with his own legal action because Boston College had not addressed the affects that release of the information could have on the political scene in Ireland, as well as the safety of McIntyre, who lives in Ireland with an American wife and their two American children. “There is a very great risk that the IRA or people associated with it will physically harm [them],’’ he said, pointing out that McIntyre has been accused of being an informer. Initiated in 2001 as a collaborative process between Belfast-based researchers and Boston College Irish studies experts, Boston College’s Belfast Project oral history endeavour raised hackles from the outset. Belfast-based author Danny Morrison was among the most vocal early critics. The former Sinn Fein publicity officer accused the project’s overseer, Boston College historian Thomas Hachey, of running a politically-biased project because its two main co-ordinators – journalist Ed Moloney and former IRA member Anthony McIntyre – were critics of Gerry Adams and Sinn Fein’s peace process strategy. 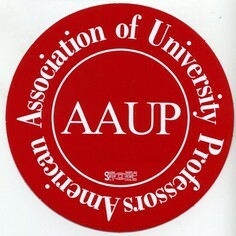 Both reject claims that they pursued an anti-Adams agenda. The only interviews yet to see the light of day were published in the Moloney-edited book Voices From The Grave (2010), in which former UVF prisoner David Ervine and former IRA man Brendan Hughes, both deceased, were interviewed extensively. Those taped interviews included a claim by Hughes that Adams ordered the 1972 killing of mother-of-10 Jean McConville – a claim Adams has repeatedly denied. The current effort to obtain the Belfast Project’s interviews with Dolours Price began when a Belfast newspaper published an interview with her last February in which she claimed that Adams had been her IRA commanding officer, and that he’d ordered Mrs McConville killed and secretly buried. In May the US Justice Department served Boston College a subpoena on behalf of the British Government demanding the surrender of all interview material relating to McConville. However, the former republican and loyalist paramilitaries who took part in the Belfast project were assured their interviews wouldn’t be published until after they died. Two weeks ago a US judge rejected an effort by Moloney and McIntyre to have the case dismissed. On Tuesday, the college was ordered to surrender its interviews with Dolours Price by yesterday. It indicated that it would. Despite a federal judge having set yesterday as a deadline for Boston College to surrender to US federal prosecutors interviews in which ex-IRA member Dolours Price allegedly implicates Gerry Adams in Jean McConville’s murder, there was no sign last night that the college had complied. However, a Boston College spokesman told the Belfast Telegraph that any delay in following Judge William Young’s directive wasn’t calculated foot-dragging by it. The temporary snag, he said, stemmed from the fact that the college campus is closed for the Christmas holidays, and the library housing material from the Belfast oral history project may not be accessible until next week. But the spokesman reiterated that the college fully intends to comply with Judge’s Young’s order. The Belfast Project contains dozens of interviews with former republican and loyalist paramilitaries. Interviewees were assured by college interviewers that their detailed accounts of past paramilitary activities wouldn’t be published while they were still alive. 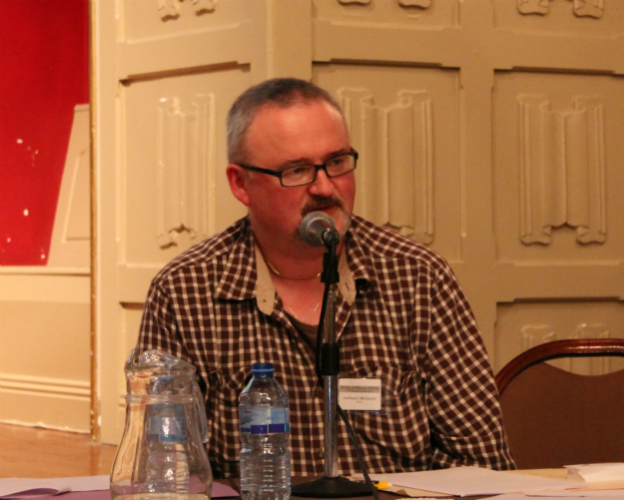 The project was headed by Irish journalist Ed Moloney, and interviews with former IRA members were conducted by former IRA member Anthony McIntyre. On Thursday lawyers acting on behalf of Moloney and McIntyre, filed an appeal in a US district court against Judge Young’s order. McIntyre and Moloney claim the ruling is a violation of academic freedom and it also could damage American interests by undermining the peace process that Washington has helped to champion since the mid-1990s. 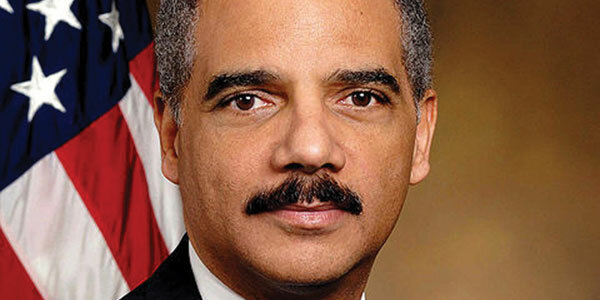 Last spring, the US Justice Department subpoenaed the tapes on behalf of the British Government. The main target of the subpoena has been the Dolours Price interviews, and ones in which she discusses the 1972 slaying of mother-of-10 Jean McConville. During his interviews with the Belfast Project, now deceased former IRA man Brendan Hughes – a former close associate of Gerry Adams – claimed that Adams ordered McConville’s killing because she was allegedly spying on the IRA for the British Army. Her family has always denied the allegation. In an earlier ruling issued on December 16, Judge Young ordered Boston College to deliver to him by December 21 all its interviews with former IRA members that had any material relating to Jean McConville’s murder. However, contrary to earlier Press reports that indicated Boston College had complied with that request, a source with detailed knowledge of the Belfast Project has told the Belfast Telegraph the college hasn’t yet handed over the additional IRA interviews. That is because the Belfast Project’s staff want to ensure any material that could eventually make its way to British authorities doesn’t compromise the identities of the ex-IRA members interviewed, or contain details pertaining to any events other than Jean McConville’s slaying. Although the PSNI was not named in court proceedings, it’s widely believed that the PSNI will ultimately take possession of any and all archived material that Boston College surrenders. The wife of a former member of the Provisional Irish Republican Army said in a court filing yesterday that her family could be harmed if Boston College complies with an order to turn over interview transcripts of a former IRA member to federal prosecutors in Boston today and if additional materials are released in the future. “As a result of Anthony being labeled an informer because of his previous work at Boston College, I live in constant fear of some form of IED being lobbed into the house or of him being shot in the street,’’ said Carrie Twomey, the wife of Anthony McIntyre, a former IRA member who conducted interviews for the Belfast Project. The project, conducted at BC, chronicled the period in Northern Ireland known as the Troubles, in which more than 3,000 people were killed in the armed struggle for control of the region. McIntyre and Ed Moloney, the project director, promised interview subjects anonymity until they died. But on Tuesday, a federal judge in Boston ordered BC to turn over materials relating to interviews with former IRA member Dolours Price to federal prosecutors, who subpoenaed those items and others on behalf of British authorities investigating the 1972 disappearance and killing of Jean McConville, a mother of 10 in Belfast. The release of the materials to law enforcement will infuriate former IRA members, who have already threatened McIntyre and Twomey, she said, and excrement has been smeared on the car and front door of a neighbor. “I have no doubt but that this was intended for us,’’ she wrote in an affidavit included in a motion that McIntyre and Moloney filed yesterday asking for a stay to the court order on the Price documents, pending their appeal of a separate order barring them from acting as intervening parties in the case. A spokeswoman for the US attorney’s office in Boston declined to comment on the appeal late last night, because she had not yet seen the filing. Prosecutors have argued that a treaty between the United States and the United Kingdom requires the countries to share information that would help solve open criminal investigations. “My husband has been publicly labeled as an informer, the most dangerous pejorative in the Irish republican vocabulary,’’ Twomey wrote. THE British Government is to get access to confidential taped interviews carried out with a prominent former IRA member about her activities during the Troubles in the north. 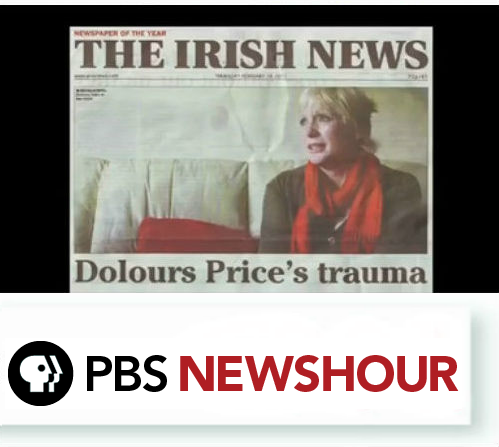 The interview with Dolours Price, completed more than a decade ago, was carried out by Boston College as part of its “Belfast Project”, an oral history of the Troubles. The tapes are expected to shed yet more light on the 1972 disappearance and murder of Belfast mother-of-10 Jean McConville. It is understood Ms Price allegedly implicates Sinn Féin leader Gerry Adams in Ms McConville’s death. 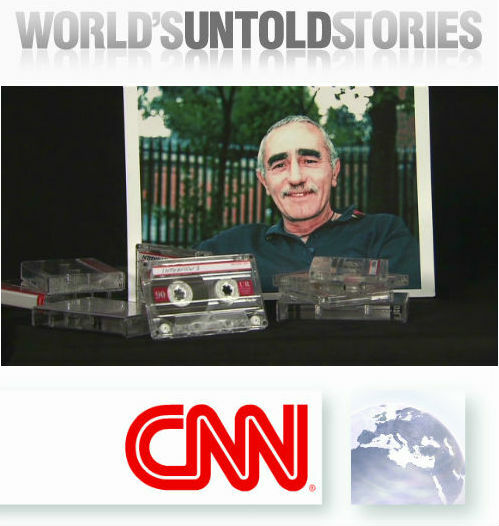 The participants were given an undertaking their identities and the contents of the tapes would be kept secret until their deaths. However, now a US judge, William Young, has ordered the college to hand over the recorded interviews with Ms Price to federal prosecutors. Those prosecutors had subpoenaed the material on behalf of British authorities investigating crimes perpetrated during the conflict in the North. According to the Boston Globe, the judge said a treaty between the United States and Britain requires the two nations to share information that is relevant to ongoing criminal investigations. “These are serious allegations, and they weigh strongly in favour of disclosing the confidential information,’’ he wrote. Boston College does not intend to appeal the ruling even though it said it could have a “chilling effect because people could be reluctant to participate in oral history projects moving forward”. In 2008 after the death of Brendan Hughes, Boston College turned over files from interviews it carried out with the former IRA member. Before his death Mr Hughes claimed Gerry Adams gave the orders to kill and secretly bury Ms McConville after the IRA accused her of being an informer. Mr Adams has repeatedly denied the allegations that he ordered the killing. Judge Young also has transcripts of interviews with more than 20 other former IRA members. He has said he will issue more orders after reviewing those transcripts. An American university has until today to hand over recorded interviews with a former IRA member to assist the investigation into the murder of Belfast mother-of-10 Jean McConville. Boston College was ordered by a federal judge to turn over recordings, transcripts and other items related to Dolours Price to federal prosecutors in Boston. The material which was collected for the Belfast Project, an oral history project about the Troubles, was subpoenaed on behalf of the British Government. Judge William Young of the federal court in Boston noted in his ruling earlier this week that a treaty between the USA and the UK requires the two nations to share information relevant to ongoing criminal investigations. Boston College said it is disappointed by Judge Young’s ruling, arguing it “could have a chilling effect because people could be reluctant to participate in oral history projects moving forward”. The Belfast Project’s organisers, which included author Ed Moloney and former IRA prisoner Anthony McIntyre, had promised their subjects they would keep identities and material confidential until the person had died. The college is not appealing the decision. Prosecutors had asserted in court filings that the material sought is relevant to a probe into Mrs McConville’s death. She disappeared in 1972. Her body was found in 2003. The IRA said it killed McConville because she was suspected of being an informer. Price and another former IRA member, Brendan Hughes, have said that her abduction, execution and burial was ordered by Sinn Fein leader Gerry Adams. According to court documents, Price admitted in news reports in Northern Ireland that she had driven the abducted McConville to the place of her murder. Mr Adams, who was elected TD for Louth earlier this year, has repeatedly denied the allegations that he ordered the killing. A Sinn Fein spokesman said it had no comment to make. However, DUP MP Jeffrey Donaldson said he welcomed the finding of the court, adding it is up to police alone to determine whether there is sufficient evidence to bring a public prosecution. Police believe the material held by Boston College will assist an ongoing investigation into the 1972 abduction and murder of Belfast woman Jean McConville. The US federal judge who made the decision, William G Young, ruled he will make further orders for the release of information from the oral history project of the Troubles. IN A case being watched closely by academics worldwide, Boston College has accepted a judge’s order that it turn over to US prosecutors in Boston the recorded interviews of Dolours Price, a former member of the IRA who was among 26 republican paramilitaries who took part in an oral history project on the Troubles. College officials said Ms Price’s interviews will be turned over to US prosecutors acting on behalf of British authorities, believed to be the PSNI, by today. US district court judge William Young ordered the disclosure on Tuesday as he continued an in-camera review of interviews that were part of the Belfast Project, an oral history endeavour sponsored by Boston College. The college’s decision not to appeal Judge Young’s order has led to a bitter rift between the college and two of the men who did much of the research in Ireland, the journalist and author Ed Moloney, who was the project director, and Anthony McIntyre, a writer and former IRA prisoner, who carried out the interviews of former republican paramilitaries. Mr Moloney and Mr McIntyre have accused the college of betraying them and those who agreed to participate in the project after being promised their interviews would not be made public until after their deaths. But Jack Dunn, a Boston College spokesman, said the college’s lawyers concluded they were not in a strong position to appeal the order because Ms Price had given at least one interview in Northern Ireland, acknowledging her participation in the Belfast Project. Lawyers representing Moloney and McIntyre filed an appeal in US district court yesterday saying Judge Young’s order violates academic freedom and hurts US interests by threatening to undo American policies that boosted the peace process. They said the original subpoena seeking the interviews of Ms Price and Brendan Hughes, a former IRA member who died in 2008, were based on misleading articles in the North that wrongly implied that at least one reporter had been given access to the Boston College archive. Mr Moloney and Mr McIntyre said that led the PSNI to ask US justice department officials to demand the college’s interviews. US prosecutors have demanded anything in the college archive related to the 1972 abduction and murder of Belfast mother of 10 Jean McConville, whom the IRA admitted to killing and secretly burying, claiming she was an informer. Mr Hughes’s interviews were turned over to authorities earlier this year because, college officials said, any promise of confidentiality ended with his death. A federal judge has ordered Boston College to turn over recorded interviews and transcripts of a former member of the IRA that were compiled by oral historians. At stake are promises of confidentiality, a criminal investigation overseas, and academic freedom. The interviews were conducted as part of a Boston College oral history project called the Belfast Project, and many of the participants had been involved in some of the most violent episodes of what’s known as the Troubles in Northern Ireland. In exchange for their candor, BC promised them their interviews would remain sealed until their deaths. But law enforcement officials in Northern Ireland have subpoenaed the materials as part of an investigation into a murder committed decades ago. On Wednesday, Federal Judge William Young ordered Boston College to comply.